We believe the Bible is the holy Word of God, inspired by the Holy Spirit and without error. (II Timothy 3:16). In it, God reveals Himself to us and tells us all we need to know for salvation. Everything it teaches is to be believed, everything it commands is to be obeyed, and everything it promises is to be trusted. Derived from and subservient to the Bible are the creeds. 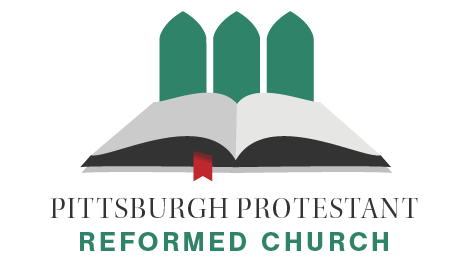 Our church subscribes to the historic Reformed faith as summarized in the Heidelberg Catechism, the Belgic Confession, and the Cannons of Dort. We believe there is only one, simple, spiritual, Being, Who is God (Deuteronomy 6:4). He is the God of all perfections (e.g. sovereignty, omnipotence, independence). He is one in essence and distinguished in three Persons: God the Father, God the Son, and God the Holy Spirit (Matthew 28:9; I Peter 1:2) To God alone is due all worship and honor. God is the sovereign Lord of Heaven and earth. He created the world and all it contains in six, 24-hour days (Exodus 20:11). The ultimate purpose of God's creation is to reveal His glory (Revelation 4:11). He rules over all in heaven and earth, over the Devil and his host, all the angels, and over all men (I Chronicles 29:11). God providentially sustains His creation and governs it according to His good pleasure. We believe that God, in harmony with His eternal purpose of love toward His people, sent His only begotten Son into this world (John 1:1-14; 3:16,17; I Timothy 3:16). The greatest demonstration of love is God sending Son to die in th enlace of and for the elect sinners (Romans 5:8). Jesus' perfect life of obedience and His suffering and death accomplished atonement of all of God's people, thereby reconciling them to God (II Corinthians 5:18, Matthew 1:21). We believe that Jesus is coming again to judge the living and the dead (IITimothy 4:1), which coming will be sudden, but not secret (I Thessalonians 5:1-5). Those who believe in Jesus will dwell with Him forever in Heaven, and those who do not believe in Him will suffer God's just and eternal anger in Hell (John 3:3, Revelation 20:11-15).